In addition to loading up on linemen over the weekend, BYU added some speed to their roster with the verbal commit of defensive back Chris Wilcox (Class of 2016). Wilcox is a 6’2” 175 pound defensive back that runs a 4.50 40m. Wilcox preps at Roosevelt High School, where as a senior he had 71 total tackles, one interception, one fumble recovery (for a touchdown), and two forced fumbles. On the track he recorded times of 10.95 in the 100m, 21.98 in the 200m, and 48.29 in the 400m. 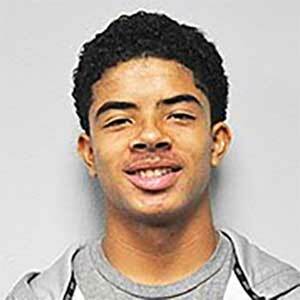 Wilcox is rated 2-stars by Rivals and Scout, and is not rated by ESPN. He holds scholarship offers from BYU, UC-Davis, and Southern Utah and was also recruited by Arizona State, California, and USC. Last Team: Roosevelt HT/WT: 6’2”, 175 lbs.